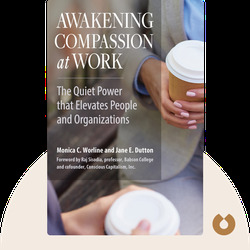 Awakening Compassion at Work by Monica C. Worline and Jane E.
Awakening Compassion at Work (2017) considers the role of compassion in the workplace. 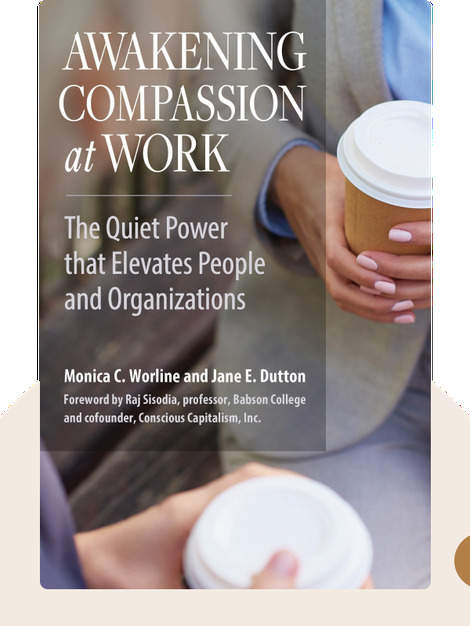 It demonstrates the methods individuals and organizations can use to develop a culture of empathy and compassion, and shows how individuals and companies alike can benefit from such an approach. Monica C. Worline is a research scientist at Stanford University’s Center for Compassion and Altruism Research and Education. She specializes in the psychology of compassion and altruism. She is also the CEO of EnlivenWork, a company that coaches businesses in the development of compassionate leadership. Jane E. Dutton is a University Professor of Business Administration and Psychology at the Ross School of Business, University of Michigan. She is a cofounder of the Ross School’s Center for Positive Organizations.